Carbon Career Center (Jim Thorpe), "The Hive"
Central Tech Career & Technology School (Erie), "The Falcon Cage"
Dallastown High School (Dallastown), "The Catty Shack"
Franklin Area Career & Technology School (Chambersburg), "The LOOP"
Franklin Area Career & Technology School (Chambersburg), "Supply Chain Management"
Lehigh Career & Tech Institute (Lehigh), "The LCTI School Store"
Lehigh Career & Tech Institute (Lehigh), "The LCTI Culinary Cafe"
Manheim Township High School (Lancaster), "The Bluetique"
Our 1st POSitive Retail Management POS User in a Traditional School Store..! Mifflin County High School (Lewiston), "MC Student Store"
------> Have custom-designed their own Logo on 500 Gift Cards. North Montco Tech-Career Center (Sumneytown Pike), "The Store @ NMTCC"
School store sells candy, snacks, beverages, spirit novelties. Pottstown High School (Pottstown), "The Trojan Shop"
Reading High School (Reading), "Just 4 Knights"
Reading-Muhlenberg Area Voc-Tech Center (Reading), "The Flower Shop"
Flower Shop and Greenhouse. 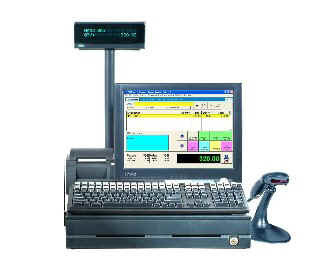 2-POS Stations, Smart Keyboard, PRM. Somerset County Voc-Tech. 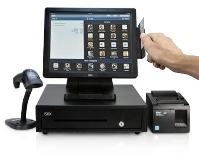 Center (Somerset), "The Corner Cupboard"
Somerset County Workshop (Somerset), "The Good Stuff Cafe"
Venango Tech Center (Oil City), "Venango Technology Center"
Added 3rd station, has 17" PRM Touch-Screen + Smart Keyboard + Bar-code Scanner (Hybrid POS) works with special needs students! Wilkes-Barre Career Technology Center (Wilkes-Barre), "The School Store"